Iran’s Defense Minister Gen. Hossein Dehghan arrived in Moscow this week at the head of a large military delegation and laid before President Vladimir Putin and his Defense Minister Gen. Sergei Shoigu a $14 billion check. Now, make our Revolutionary Guards Corps and regular forces into an up-to-the-minute war machine, he said. Pakistan’s minister for defence production, Tanveer Hussain, confirmed that the US$4-5 billion deal was sealed recently while opening a new exhibition center at the country’s Defence Export Promotion Organization last week. The navy has deployed several new advanced surveillance aircraft to its North Sea Fleet to hunt down submarines in the East and South China seas. The new “Gaoxin-6” maritime anti-submarine warfare planes are modified versions of the Shaanxi Aircraft Corporation’s Y-8 and Y-9 medium transport aircraft and were added to the People’s Liberation Army’s North Sea Fleet late last year, Beijing-based naval expert Li Jie said yesterday. The US Navy is set to unleash an army of ‘ghost drones’ to scour the coasts for enemy submarines. Is Germany Still in the Race for Australia’s Biggest Arms Deal of the Century? Angela Merkel is aggressively pushing for Germany to win a contract to build 12 submarines. When you have mysterious missiles flying out of the ocean on the coast of Southern California that your own country doesn’t claim, whitewashes or can’t identify, it might be time to install a security alarm. As these don’t get thrown out there ‘just because’, America is likely having national security problems off its coastal areas than it wants to, or can, admit. Why Does the Navy Still Not Have Enough Money for New Submarines? Comments Off on Why Does the Navy Still Not Have Enough Money for New Submarines? Posted in Military, Military Technology, National Security & Terrorism, Nuclear Weapons & Proliferation, Politics, USA Tagged Adm. Jonathan Greenert, Boomer, budget, National Security & Terrorism, nuclear war response capability, nuclear warheads, Nuclear Weapons & Proliferation, Ohio-class ballistic-missile submarine, politics, submarines, Trident D5, U.S. Navy, United States, Why Does the Navy Still Not Have Enough Money for New Submarines? A number of United States Navy sailors have been suspended and are under investigation for allegations that they cheated on qualifying exams to teach and train nuclear propulsion team members. It all boils down to national security, military application, the protection of natural resources, trade routes, so on and so forth. We already have drone aircraft patrolling the skies for the military and intelligence agencies. 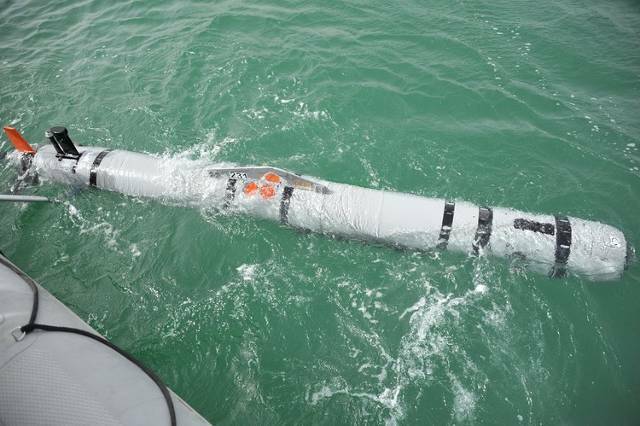 Now the military and energy companies want to develop their seaborne equivalent–autonomous, self-guided underwater vehicles. A U.S. intelligence-gathering ship was harassed by a Chinese security ship last month in an incident that analysts say indicates Beijing is stepping up aggressive maritime encounters toward the U.S. Navy in the Asia-Pacific. This is also another reason that the Soviets, Chinese and Germans patrol the open seas and hunt pirates that articles won’t normally mention. The primary goal is not the pirate hunting itself. Aside from “maritime trade” routes, the primary goal can also be territorial claim and control of strategic waterways once you establish a regular patrol routine. Another benefit for these countries is that it’s free training for the military and even weapons testing without having an actual war. The pirates could’ve have been hunted down in their own country or a war between nations would have happened by now should they be an actual threat. These militarization plans are certainly not a reaction merely to considerations of how to combat more effectively piracy off the coast of Somalia, but to geostrategic considerations as well. For example, last year Volker Perthes, Director of SWP, pointed out that the “interests” behind the countries’ sending their naval vessels to the Horn of Africa are not “limited to the war on piracy.” Perthes explains that, over the past few years, the importance of the Indian Ocean, where piracy is being fought in its western sector, has enormously grown. “One third of the world’s maritime trade” crosses this route, with the trend rising rapidly. Particularly East Asian countries, especially China, are making large infrastructure investments in the bordering countries – port facilities or transportation means -, which are “also elements of the geostrategic competition.” It is, after all, “it goes without saying” that China and even India have “an interest in protecting their maritime links.” Even though the United States “will remain the strongest maritime power in the Indian Ocean, for the foreseeable future,” it will soon “no longer be the sole maritime power.” Perthes warns that “the new momentum in the greater region of the Indian Ocean” should not be neglected and one must also be involved. “We have watched with interest their development of long range rockets and short, medium and long range ballistic missiles and of course … the development of their nuclear program,” Fox, who heads the U.S. Fifth Fleet, said at a briefing on the fleet’s base in the Gulf state of Bahrain.